Vanda who we met at Wooramel Roadhouse — travelling around Australia with "Biker" her dog. 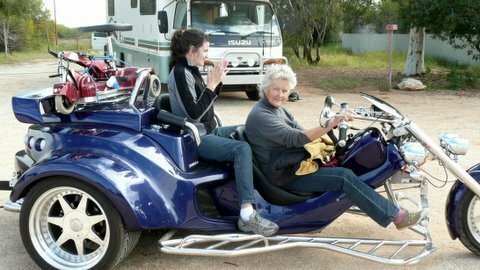 Danni decides she wants to travel by trike … not in a boring old motorhome!! 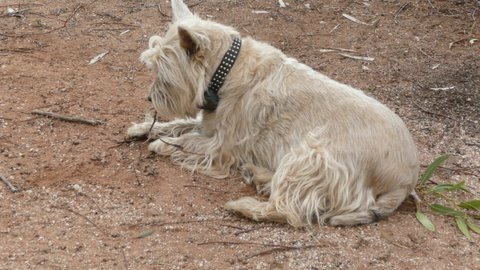 Skye, Biker (foxie) & Jackie (Wolfhound) at Wooramel Roadhouse — an unlikely trio. They don't feed me — I need to eat sticks to keep my lovely figure.